Looking for an objective review of the new Aston Martin Vantage? OSV has you covered, from engines to lease deals. If you like cars, you’ll love the new Aston Martin Vantage. It’s for the ages. Sporting its instantly recognisable looks that will never get old, it’s powered by a muscular V8 engine that boasts serious performance. This is one of those classic sports cars that we all want to drive at least once in our lifetime. And if you can afford it, owning one of these babies is just magic. It’s fun to drive, stunning to look at, and it’s got oodles of prestige and badge appeal. 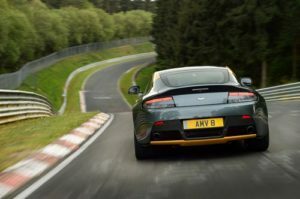 OSV takes a closer look at what it’s all about with our Aston Martin Vantage review. The new Vantage is quick. Its V8 4.7-litre petrol engine delivers up to 420bhp, which is enough to get you from a standstill to 62mph in just 4.9 seconds. To assault the tarmac even more, you could go for the pricier Vantage S, which does the same distance in 4.6 seconds. The V8 engine isn’t new – in fact, it’s a bit old. For many, however, that’s part of the appeal. Moreover, while the likes of Audi, Mercedes and Porsche can boast newer power plants, they can’t offer the kind of spine-tingling engine noise that this one can. Also, there are no complaints when it comes to the amount of raw performance you can extract from the Aston Martin. To get the best out of it, you will have to work it extra hard. But that’s part of the fun. Take it onto a racetrack, and it will let you do whatever the heck you want with it. The Vantage still comes with a manual gearbox, too. However, it comes with a cautionary note – it’s not as good as modern-day semi-automatics. Changing gears may reward you eventually, but it’s all a bit of a hassle, especially in traffic. There is a semiautomatic transmission available should you want it. Whether you choose it or stick to the manual gearbox will, of course, come down to how much of a driving enthusiast you are. And if you opt for the semi-automatic, you might find that your mate is giving you a bit of earache before long! In terms of how it drives, the Vantage is excellent at cornering. It does feel a bit firm, but it inspires plenty of confidence and there is lots of feedback on offer, too. The Vantage S drives more aggressively, and feels even more firm. But it’s a breathtaking sports car that is right at home on the track, the motorway, the city, or even on coiling country lanes. This car was first launched in 2006. Back then, its interior was a huge strength. Indeed, it was one of the best around. Now, however, it’s been trumped – not least by the special Jaguar F-Type. Inside, the Vantage now looks a bit dated as opposed to vintage. However, Aston likes to remind us that each one of these beauties is hand-built. Everything feels solid enough too, and everything works. So what’s there to complain about? Unlike their rivals, Aston just haven’t made the leap forward when it comes to cabin design and overall quality. Their switch gear and controls are stuck in the past. Where revisions were needed, Aston decided to look away. However, it’s hard to argue with the charming quality of the stitched leather seats that are undeniably Aston Martin. In terms of practicality, the Aston Martin Vantage scores points for its 300-litre boot which is very usable. Its usability is enhanced by the emplacement of a hatchback-type rear door, and although 300-litres makes it smaller than many rivals, there is an extra storage area behind its front seats. This, of course, means there are no rear seats. The Vantage is strictly a sports car for two. Standard equipment is reasonable, though probably should be better since you’ll be paying through the nose for the V8. Kit that’s included in the listing price includes rear parking sensors, climate control, a tracking device, an iPod and a leather steering wheel. Go for the more menacing Vantage S and you also get sports seats, satellite navigation and a subtle rear spoiler as part of your standard kit. There are over 30 colours to choose from for both cars, as well as four different alloy designs. Prices for the new car start out from £95,000 and rise to as much as £165,000. If you prefer to lease, you can pick up a deal from as little as £1,170 + VAT per month. In terms of running costs, things are probably as you expected – or worse. But most certainly not better. Keeping this machine on the road will cost you an arm and a leg, so you’ll need deep pockets. Not just that, but for business users the seismic tax liabilities and beastly insurance premiums might have you thinking twice. The standard Vantage V8 is good for fuel economy returns of 20.5mpg at best. Taxing it, meanwhile, will set you back an extra £505 a year. Going for the automatic gearbox (which is probably heresy among many of you), will improve fuel economy returns to 22.3mpg. When it comes to insuring the car, no Vantage sits outside group 50, which is the highest tier. You can thank all that performance for this. The thunderous V8 engine delivers up to 320bhp, and is at its best when you work it hard. That throaty, naturally-aspirated V8 engine provides a thrilling soundtrack. Timeless and instantly recognisable, road cars don’t get much more beautiful than this. 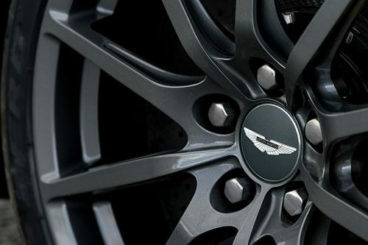 While rivals are bringing their cabin’s up-to-date, Aston Martin are keeping theirs the same. You might be inclined to argue that keeping any luxury sports car like this on the road is an expensive do – but as we’ll find out below, that’s just not true. The Vantage is by far one of the most expensive cars to run in this class. 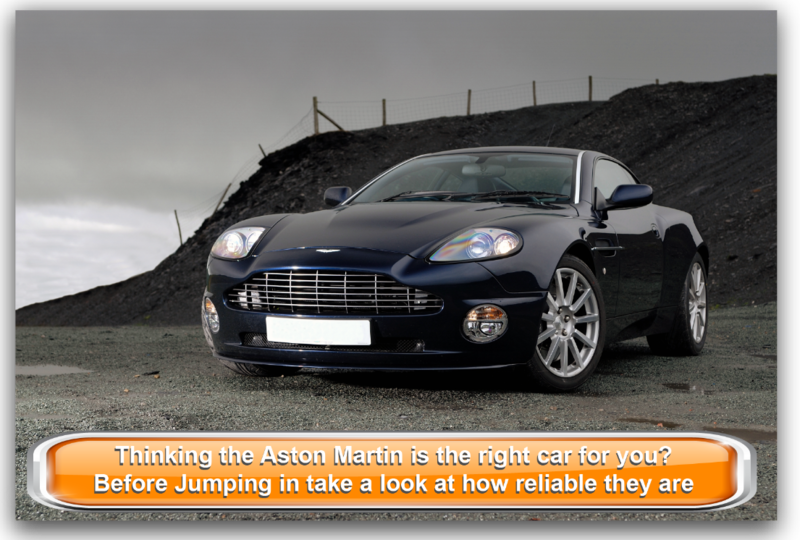 Let’s see how the car fares against its rivals in the comparison section of our Aston Martin Vantage review. The new Porsche Carrera Coupe has turbocharged engines for the first time. Before you turn away in disgust, it’s worth knowing that this is still the best on-the-road sports car around. That’s because the turbochargers have done nothing to water down this car’s breathtaking driving experience. Moreover, we all just need to trust Porsche a little bit. After all, they’ve been refining this car for decades to make it the creme de la creme of sports cars – so why would they suddenly toss all that away? The 2017 Carrera is powered by a 3.0-litre twin-turbocharged petrol engine that is available in either 365 or 414bhp guise. The former can do 0-62 in 4.6 seconds, while the latter takes care of the same distance in just 4.3 seconds. Fit it with the automatic gearbox, and it can go even faster. The brand’s Active Stability Management system is available as standard with both engines, and it lets you firm-up or soften the suspension to suit your mood or the conditions. There is also a Carrera GTS in the range. It’s a bit more expensive, but has more power. Its 3.8-litre six cylinder engine delivers up to 424bhp, and it can get you from a rest to 62mph in 4.0 seconds. 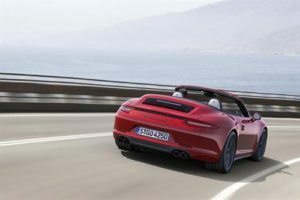 The introduction of turbochargers has allowed Porsche to shore up the frankly ridiculous running costs that always counted against this car. The cheapest model can now return fuel economy of 34mpg which is a big improvement on last time. You will have to pay £265 a year in road tax, but insurance remains high. Another area of the Carrera that has been shorn up is its comfort. It’s now a fairly refined machine that does a good job of soaking up bumps and lumps in the UK’s poorer road surfaces. Adaptive dampers, which come as standard, certainly help. The cabin is slick and modern, superbly put together, and adorned in quality materials. It looks and feels every inch as premium as it should do. It’s also surprisingly practical. The interior is pleasantly roomy, with Porsche doing a good job of squeezing as much space as possible out of their darling sports car. The large windows create an airy cabin, and also improve visibility. The rear seats, however, are strictly for children or more luggage, while the boot – which is found under the bonnet – measures 145-litres. It’s small, but it’s deep. The new Mercedes AMG GT Coupe is the German brand’s answer to the Vantage and the 911 Carrera. But is it as good? The AMG GT Coupe certainly offers formidable performance. It also handles like a dream, helped in part by the fact that its weight is set so low down. This balance comes in dead handy when you take a corner with enthusiasm. After all, the last thing you want in moments like this is for your 500bhp car to twitch! The steering is sharp, and the car always feels responsive and alert. In town, the AMG GT Coupe is easy enough to drive, but it’s on the track where it really shines. The car is powered by a 4.0-litre petrol engine that is as performative as a race car while being more economical. In standard form, the car can get you from rest to 62mph in 4.0 seconds, while the S version covers the same distance in just 3.8 seconds before maxing out at 193mph. You can access all that performance at any engine speed, which means that overtaking is easy. Powering your way up long stretches of road is pure fantasy. 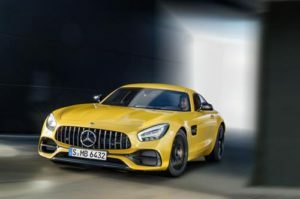 When it comes to running costs, the Mercedes AMG GT Coupe is not too far behind the most economical engines in this class. Given the amount of performance the V8 can offer, fuel economy is reasonable, with the standard model able to achieve average returns of 30.4mpg while emitting 216g/km of CO2. The interior is superb, but how excited you feel about it might be tempered by how pricey the optional extras are. Those aside, this cabin really is one of the best in class and sets new standards. Compared to the Vantage’s dated interior, everything here is new and looks wonderful. It’s plush, well-packaged and ergonomic, with top features including a thick-rimmed steering wheel and matt silver finishes for your dash panels. It isn’t the most practical sports car you’ll be taking a look at. It has only two seats, and visibility isn’t the best, thanks to thick windscreen pillars. Visibility is further hampered by a bulging bonnet. The small door pockets and tiny glovebox are also criticisms. The boot, however, is massive. Measuring 350-litres, it’s bigger than the one in the Ford Focus. This is a real beauty, a luxury sports car that makes you feel like a movie star each time you step inside. Timeless, classical and beautiful, it’s a sumptuously-crafted machine that’s made out of love. It’s so powerful, too. Capable of providing you with endless thrills while making you feel invincible, the lustrous, highly sought-after Aston Martin Vantage is one of the most unique cars available right now.